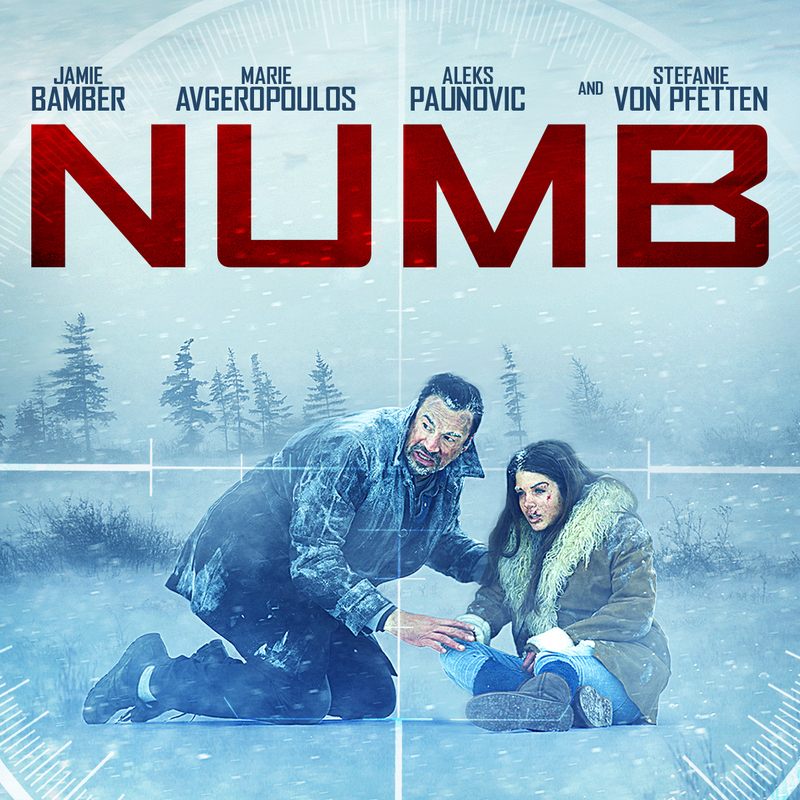 Icy Canadian thriller Numb comes to DVD/VOD in February. Battlestar Galactica's Jamie Bamber headlines this frost-bitten thriller, coming to Region One DVD and VOD February 7th. He's part of a quartet of treasure-hunters who receive a frosty reception when they set out to locate a buried fortune. The chilling thriller follows Will (Bamber) and Dawn (von Pfetten), a couple in financial distress who are traveling back to Vancouver in the freezing winter when they pick up mysterious hitchhikers, siblings Cheryl (Avgeropoulos) and Lee (Pauvonic). Their journey takes a sharp turn, leading them to a single gold coin and GPS coordinates that promise to lead to stolen treasure. The four reluctantly decide to partner and venture into the snowy wilderness with hopes of finding the buried fortune and a fresh start. Treasure hunting is given an ice-cold twist in NUMB with gripping performances, harsh elements and dramatic landscapes that capture what becomes an intense fight for survival. The only thing more blinding than the snow… is greed.